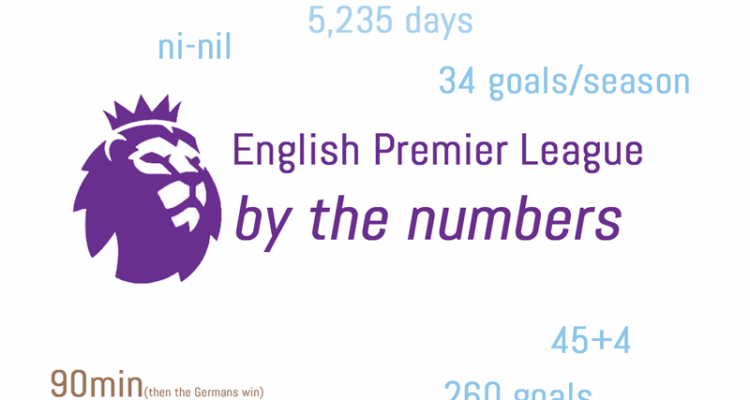 EPL by the Numbers 2018-19 #19. Click for more. The weekend before last was the Fourth Round of the FA Cup and, while many of the favorites including Chelsea and Man City won, there were a number of sides to fall, some in truly startling fashion. United beat Arsenal 3-1 at the Emirates to extend their streak to 8 in 8 under their new manager, Everton fell to Millwall after holding the lead not once but twice in the pouring rain (3-2), Tottenham were summarily extracted from the tournament by Crystal Palace 2-0, West Ham exited 4-2 at Wimbledon and Wolves were forced into a replay with Shrewsbury (though they might be happy with the result after trailing late), having upset Liverpool in the previous round. The EPL season then continued with two rounds of fixtures last week. The first round was Tuesday and Wednesday, with several hugely surprising results. It started Tuesday with United’s winning streak ending with a 2-2 home draw with Burnley while, at the same time, Man City’s struggles at Newcastle continued, with a shock 2-1 loss. Arsenal held on for 2-1 victory over a struggling Cardiff City, making it 30 straight at home against teams in the relegation zone for the Gunners and putting two points between themselves and United in sixth, and then jumping Chelsea into fourth after the Blues suffered a humiliating 4-0 loss at Bournemouth Wednesday. Liverpool was thus in a position to capitalize Wednesday as they hosted a struggling Leicester City, but after taking an early lead, the Reds had to settle for a point and a five-point lead at the top. In other matches of note, Fulham secured only their fourth victory of the season, 4-2 over Brighton, though they still found themselves 6 points from safety while Wolves continued their impressive run in the league with a 3-0 destruction of West Ham. On Tuesday, Everton survived a red card to win 1-0 at Huddersfield, with Richarlison scoring in the 3rd minute and Lucas Digne earning the red in the 66th. Crystal Palace then eked out a point with a red card of their own Wednesday, 1-1 at Southampton. Over the weekend, Man City beat Arsenal for the 6th time in the last 9 (with 2 draws) to ultimately shrink the gap to only three points behind Liverpool, after the Reds blew a lead for the second game running, again settling for a point, this time at West Ham (1-1), Tottenham won late for the third match running, United got back to winning ways with a 1-0 victory at Leicester and Chelsea did the same in style 5-0 over all-but-sure-to-be-relegated cellar-dwelling Huddersfield. At the bottom of the table, Newcastle lost to the Spurs late winner, Huddersfield were, as previously noted, crushed, Fulham fell back to earth, 2-0 at Crystal Palace, Cardiff beat Bournemouth 2-0 and Burnley settled for a 1-1 draw hosting Southampton. Cardiff were not able to escape 18th place with the win, though they are only two points below three sides, followed by Fulham in 19th and Huddersfield bottom on 11 points from 25 matches. In La Liga, Barcelona came back from 2-0 down to Valencia to earn a point and actually extends their lead over Atlético Madrid, who lost 1-0 at Real Betis, to six points. Sevilla also lost 1-0, at Celta Vigo to fall 14 behind, while Real Madrid won 3-0 to further consolidate their position in third. In Italy, Juve settled for a point in a 3-3 home draw with Parma, with Napoli pulling within nine after their 3-0 win over Sampdoria. Inter failed to take advantage of Juve’s slip up though, losing 1-0 at home to Bologna while Roma and Milan played out a 1-1 draw that kept Milan in fourth by a point. Meanwhile, in Germany, Dortmund were held to a 1-1 draw at Eintracht, but still picked up a point on Bayern Munich, who lost 3-1 to Bayer Leverkusen. Monchengladbach then slotted back into second, on goal difference, after a 2-0 victory at Schalke, assisted by a 59th minute red card for Schalke’s Nubel. And, finally, in France, PSG’s undefeated start to the season was finally put to bed after 21 matches, as Lyon knocked them off 2-1. Their lead at the top is now “down” to 10 points over Lille and 13 over Lyon, though they have two games in hand over both. Oh, and you might have heard there was a kind of big game on Sunday. The expected team won, but in a dud piece of entertainment for all but the most stalwart of defensive fans or exuberant fair-weather Patriots fans. The Belichick-Brady junta made it a record six titles in the lowest scoring Super Bowl ever, 13-3 over the previously offensively-explosive LA Rams. One should give some credit to the coach, who shut down the #2 offense in the league (3 points) and the #3 (Kansas City) and #7 San Diego Chargers for more than a half of football leading up to the game. Brady will celebrate this title and its record-setting aftermath, but he has never, in my mind, had less to do with a playoff win in his career. 1 – Last season was a decent one for Olivier Giroud after moving from Arsenal to Chelsea in the Winter transfer market, in the wake of the Gunners signing Aubameyang. He ended up with 5 goals and 3 assists in only 9 starts and 8 sub appearances, leading the line as Chelsea won the FA Cup. This season has essentially been a nightmare with only one league goal in 19, mostly sub, league appearances and four more in the Europa League. Sarri has generally preferred Hazard in the false 9 over Giroud or the misfiring Morata. The latter just joined Atlético Madrid after the loan signing of Higuaín, but Giroud was unable to secure his desired move back to France. 1 – Last week was the first time Juventus were eliminated from the Coppa Italia under Massimiliano Allegri. He’d won four domestic doubles in his four seasons in Turin before this. This is also their first loss in domestic competitions this season, having won 21 and drawn 2. AC Milan, on the other hand, cruised through to the semifinals, beating Napoli 2-0 – with Higuaín’s replacement Krzysztof Piatek scoring both. 2 – Speaking of Gonzalo Higuaín, he failed to score in his first two starts with Chelsea, a 3-0 win in the FA Cup over Sheffield Wednesday and a shocking 4-0 loss at Bournemouth midweek, but found the back of the net twice Saturday, as Chelsea rebounded from that loss to return to the top 4, 5-0 over Huddersfield. Hazard also had a brace, to hit 12 for the season, after scoring only 1 in his last 8. Liftoff for Higuaín in style, with a roofer to open the scoring before a decent second effort in a nice rebound win for the Blues. 3 – Tottenham have won three straight with goals in the 80th minute or later, including the winner in the 83rd minute Saturday against Newcastle, though they benefited from a goalkeeper flub. The win set an EPL record, for 29 straight league matches without a draw. 3 – Cardiff keeper Neil Etheridge has saved three penalties this season, though two were in the first two league matches. He couldn’t add to the tally as Aubameyang sent him the wrong way to give Arsenal the lead last Tuesday in the 65th minute. They went on to win 2-1, though a chance at a rare clean sheet went wanting late for the Gunners. 5 – Matches without a solitary goal for soon-to-be-relegated Huddersfield, and only one in their last 7, for a side that seem to have all but given up with 13 matches left in the season. They were run off the pitch by Chelsea in a 5-0 loss at Stamford Bridge, their 11th loss in their last 12. 4 – of the last five matches between City and Arsenal have seen the former score three goals, and it was 2-0 in the other. Arsenal’s defensive woes played a part Sunday, but they were completely stale on offense in the second half as well, their midfielders unable to get the ball forward with any consistency. Agüero continues to make his case as the greatest striker in EPL history, but his third goal arguably should have been overruled for a very clear handball. 5-1 – Serena Williams is usually the one pulling a victory from the teeth of likely defeat, but since returning to the tour, there has been a definite shift in her results. And that continued in the Australian Open semifinals, where the American went from serving for the match up 4-6, 6-4, 5-1, 40-30, to losing the third set 7-5, and thus the match to Pliskova. There was an ankle injury that hastened the collapse, as she didn’t win another point on serve the entire match, but it’s still a shocking result as Williams continues to chase the increasingly elusive Grand Slam #24, to equal Margaret Court for the all-time record for slams. 7 – Good news for Man City after their shock defeat Tuesday was the draw by Liverpool Wednesday. 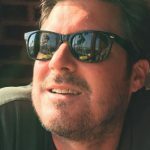 If the Reds’ had held their lead, or taken one of their countless chances in the second half, they would have held a seven-point lead after 24 matches, which has only been cracked once in the history of English football at that point in the season – when the Newcastle “Entertainers” of 1995-96 blew a 9-point lead after 24 matches to lose to, who else, but Manchester United. After another draw Monday at West Ham and City winning Wednesday at Everton, City were back in first, on goal difference (though Liverpool can still go back to the top if they win this weekend). 10 – Goals in last 12 for Son Heung-Min after he started the season with none in 7. The winner, while fortuitous, moved Spurs above City into second … for a day. 10 – of the first 20 league goals conceded by Man City have come via free kicks, the highest percent in the league. However, one should note only Liverpool have allowed fewer goals this season, with 15. Arsenal, on the other hand, have conceded 36, the most of any side in the top 8, even with Everton in ninth, and five more than Leicester City in 11th. 11 – Wolverhampton Wolves matched their tally for wins in an EPL season with their 3-1 road win at Everton. They have 13 chances to break that mark and now sit in 7th place, only 9 points behind Arsenal in sixth. They are 5-3-6 against the top half of the table, with wins over Tottenham (3-1), Liverpool in the FA Cup (2-1), Chelsea (2-1) and 1-1 draws with City, United and Arsenal. Impressive stuff! Wolves continue to enjoy their return to the Premier League like few sides promoted in recent seasons. They are one win from setting a club record for wins in a season, with 13 chances to break it. 14 – Japanese tennis star Kei Nishikori spent that many hours on the courts in the first four rounds of the Australian Open, coming back from two sets down on two occasions – something many will never do in their careers. The toll of those hours caught up with him a week ago Wednesday as he had to retire in the second set of his quarterfinal match with Djokovic, down 6-1, 4-1, with a quad injury. Djokovic ran to the title (see below). 26 – Rashford scored his 26th goal since his debut in February 2016 in his 100th match, as the youngest United player to hit that mark (beating Ryan Giggs by a few months). It was the winner as United beat Leicester 1-0 to make it 10 in 11 wins under Ole Gunnar Solskjær, with the other result a draw. Rashford continued his resurgence in the wake of Mourinho, scoring the winner against Leicester in his 100th league appearance. 29 to 2 – Goals for and against Man City in their six-game home winning streak. The latest was a 3-1 win over the Gunners with Aguero scoring his three goals from about 10 yards … combined. 30 – When Manchester City scores within the first minute of their match at Newcastle last week, it was their 30th goal without reply in the league, extending a record that had previously been held by Preston North End’s, way back when Queen Victoria was in charge. The streak would end there though as their bid to win back to back titles took what looked like a serious hit in the eventual 2-1 loss to Newcastle. They could well be back in first place anyway, if they beat Everton Wednesday. 33 – Remember Man United flop Memphis Depay? Well his move to Lyon has been a huge success, with 33 goals in only 91 appearances since January 2017. That followed only 7 in 53 with United and star-killer Jose Mourinho. Depay was one of the hottest young prospects in Europe until his aborted stay with United. He is now being looked at by some of the biggest clubs on the continent once again. 34 to 9 – There were many unbelievable numbers in Djokovic’s 6-3, 6-2, 6-3 destruction of #2 Nadal in the Aussie Open Final, but maybe most impressive was his 34 winners against only 9 unforced errors (in 26 games, after only 5 in his semifinal destruction of Poullet). He also won his first 16 points on serve and 25 of his first 26. He broke Rafa in his first service game of the match, to end a 66-game streak unbroken for the Spaniard. Djokovic also won 14 of the first 17 points that went 10 strokes or more. And it was his record 7th Aussie Open and 15th Major overall, drawing within 2 of Nadal and 5 of Federer. Nadal had not lost a set heading into the final, but was swept in straight sets for the first time ever in a Slam final. And Djokovic has now won 12 of their last 15 meetings since the 2013 U.S. Open Final. Oh, one other thing, if Djokovic can actually beat Nadal in Paris, he would have won four straight Slams, this being the third time he has won three in a row in his impressive career – another record! Nadal had an off-day, but Djokovic looked veritably unbeatable as he continued his almost year-long dominance of the sport. 40 – Goals for Sergio Agüero in 63 against the Big Six for He scored the opener against Arsenal within the first two minutes, in comical fashion, as Iwobi gave it away on the edge of the box and Leno missed another save he should have made. He then scored the second, again from close in, to restore the City lead right before halftime and the third on another mistake by Lichtsteiner and Leno, though it arguably should have been ruled out for hand ball. That was his 10th hat trick, only one behind the Premier League record 11 Alan Shearer collected in his stellar career. 40 – Bill Belichick has now won six Super Bowls as a Head Coach and two more as a defensive coordinator. It was that earlier position that might have served him best as he held the 11th best offense in the history of the NFL to 3 paltry points. How did he do it? Well, he put six on the line with two linebackers right behind on a number of plays to stop the run and then, brilliantly, went from being the side that played the most man-to-man in the league to running 40% of the defensive plays in zone defense. It flummoxed Goff and the Rams potent offense and set the stage for the win. Belichick and defensive coordinator Brian Flores held the Rams to a Super Bowl-tying three points with a reminder that defense still matters in the league. 50 – Lys Mouset of Bournemouth came on in the 62nd minute Saturday for his 50th EPL appearances, with 43 of those coming as a sub. He has two goals and no assists in his league career, but has added a goal and assist in 9 league cup appearances. At 22 he certainly will have a chance to earn more starts in the future, already a French under 21 international. 65 – There were few highlights for the Rams Sunday, beyond their defense, which played extraordinary football in a loss, but they did set one positive Super Bowl record – the 65-yard punt by Johnny Hekker. You might remember him as the guy that turned around their game against the Saints, with his fake punt for a first down waking up a dormant offense. Nothing did the trick Sunday and it had to be the dullest Super Bowl in recent memory. 90 – Novak Djokovic, who dominated the sport between 2011 and 2016, had an injury, surgery and then a steep decline in form and results. He recovered by changing his serve, ditching an old technique and returning to his earlier approach. The switch moved him from winning 83 percent of his service games, before Wimbledon, to 90 percent after and winning 71 percent of his first-serve points to 77 percent. And that has allowed him to return to #1 and dominate the sport even more than in the past, having become the first man ever to beat Nadal in the finals of a Grand Slam in straight sets! Potentially useful info for the weekend duffer. Connor Wickham had a dream return to the pitch after 792 days out, as he scored the opening goal and, ultimately, winner, as Crystal Palace facilitated Tottenham’s exit from the FA Cup 2-0. No Comments on "EPL by the Numbers 2018-19: Match Week 24-25, Liverpool stumbles & City back on top"